The alleged discovery of a cow carcass in the fields in India’s Bulandsahr on Monday morning triggered massive protests by the locals who carried the carcass on a tractor and blocked the main road. 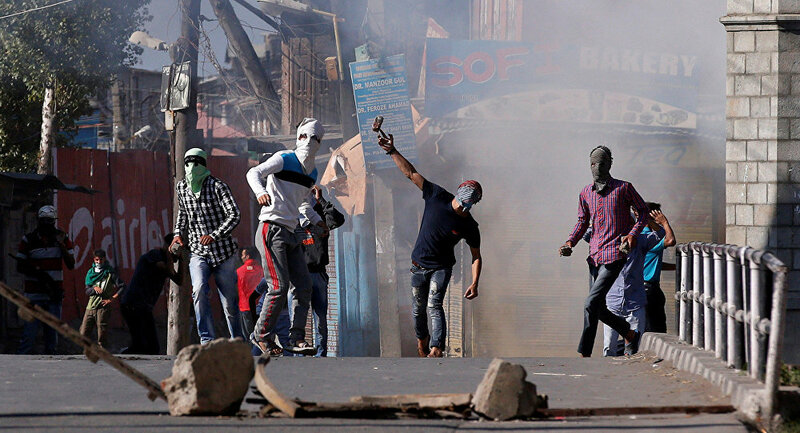 When police tried to intervene, the angry mob resorted to stone pelting and torching of vehicles. A police officer was killed by an angry mob in the northern Indian state of Uttar Pradesh Monday morning when he was trying to disperse the crowd protesting the alleged slaughter of a cow in the area. ​"People complained that cattle carcass was found in the field. Villagers were assured action, but they carried the carcass on a tractor and blocked the main road. Protestors turned violent, pelting stones at the police. The forces retaliated with baton charge," Anand Kumar, Additional Director General (Law and Order) told the media. The police inspector, identified as Subodh Kumar Singh, died on the spot as he was hit by a blunt object on the head while he was trying to stop the rampaging mob. When the police retaliated, a villager was shot and later died from his wound. Meanwhile, the state government led by Yogi Adityanath — a Hindu monk — has immediately assembled a special investigation team to look into the cow slaughter and mob violence in the area. Security in the district has been ramped up following the incident which coincided with a major three-day Islamic congregation.